Bangladesh is situated in Asia and surrounded by India for 95%. The only other country that has a border with Bangladesh is Myanmar, and on the south end it lies at the Gulf of Bengal. Bangladesh is one of the poorest countries in the world. In 2005, the Gross National Income (GNI) per capita was $ 470.-, compared to $ 36,620. – in the Netherlands. One of the largest and most important industry sectors in Bangladesh is the jute sector, in which almost 1.5 million people are working. For the last decades, the worldwide use of traditional jute goods like sacks is declining, and companies are trying to find more diversified uses for jute, resulting in new, diversified goods. The world market for these new diversified goods is growing and in order to participate in this market, it is important to inform and persuade jute producers to expand into these diversified jute goods market. 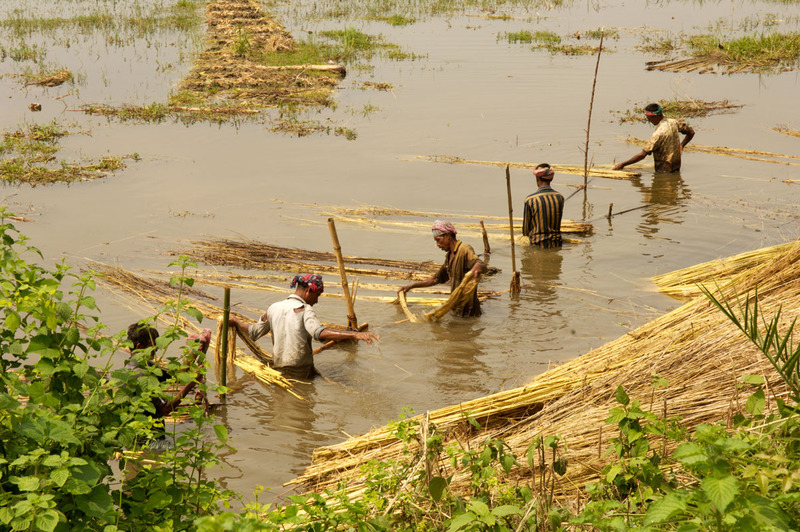 In order to improve the jute industry of Bangladesh and sustain the improvement rate, concerned authorities have taken several crucial steps like encouraging Small and Medium Enterprises (SMEs) in Bangladesh. This practice, at the same time, improves the competitiveness of the SMEs in Bangladesh. As the jute industry is one of the major sources of foreign income for Bangladesh, ensuring the success of jute sectors should be given highest priority. Keeping this in mind, researches are often conducted to assess the possibilities of the jute products and especially the diversified jute products from Bangladesh in the European market. By looking and analyzing both the Bangladeshi jute industry as well as the European market, possibilities for the diversified jute products are defined and translated into interventions that are suitable for PROGRESS. However, though the jute sector in Bangladesh was very much profound and enriched since its inception in 1971, lost its craze and potentiality due to some wrong decisions. But however, jute industry is still growing faster in Bangladesh and more positive news is that lots of world class jute products manufacturers are here in Bangladesh who are producing and supplying jute made products all over the world.